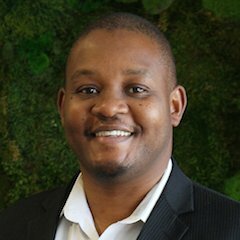 Simba joined the Foundation in May 2018 as the Chief Financial Officer leading the organization’s financial, accounting, and investing work. Prior to joining the Foundation, he held similar roles at the One Bread Foundation, Inc. and the Regroup Foundation. He has also served as Treasurer and Board Member of Connections Counseling Center. Simba brings over 20 years of experience in finance, auditing, and accounting, having worked for major public accounting firms both in the United States and abroad. Originally from Zimbabwe, he lives with his wife and two sons in Danville, California where he is active in his local community through church organizations. Simba aims to create a more just and equitable world through his financial and environmental work. 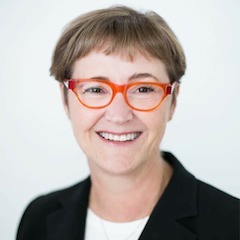 Sandra Hawken joined the Holland Bloorview Kids Rehabilitation Hospital Foundation in 2015 as the President & CEO and has led a transformational organizational change and doubled the donor base. Holland Bloorview is Canada’s largest children’s rehabilitation hospital, and a global leader in applied research and client and family centred care. With donor support, Holland Bloorview is helping to create a world of possibilities for kids with disabilities. Prior to joining Holland Bloorview, Sandra held senior leadership roles at Canadian Women’s Foundation, Royal LePage Shelter Foundation and Assaulted Women’s Helpline. In her 22-year career, she’s re-engineered operations and inspired high-performing teams to launch record-breaking fundraising, brand-building and engagement campaigns. Sandra has been a national media spokesperson, written a column for Huffington Post and won national and international awards for innovation in media and partnerships. Sandra is passionate about helping the community express their values through philanthropy. She is a graduate of Queen’s University’s School of Business. Joshua Fenton is Director of Investments at the Helmsley Charitable Trust. He has direct responsibility for monitoring current managers and identifying potential managers across all asset classes. Prior to joining the Trust in 2012, Mr. Fenton was Director of Research and Trading at Breeden Capital Management, a $1 billion AUM activist fund where he ran the investment team and served on the investment committee. Mr. Fenton received an MBA from Columbia University School of Business and a BA in economics from Yale University. He has been an equity analyst and portfolio manager for over 20 years. CIBC Capital Markets, CIBC World Markets Inc. 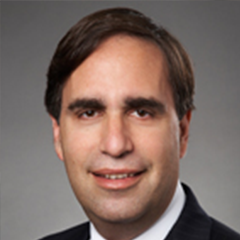 Managing Director and Chief Economist, CIBC Capital Markets, CIBC World Markets Inc.
Avery Shenfeld is Managing Director and Chief Economist at CIBC, having been with the firm since 1993. He holds a Ph.D. in economics from Harvard University. 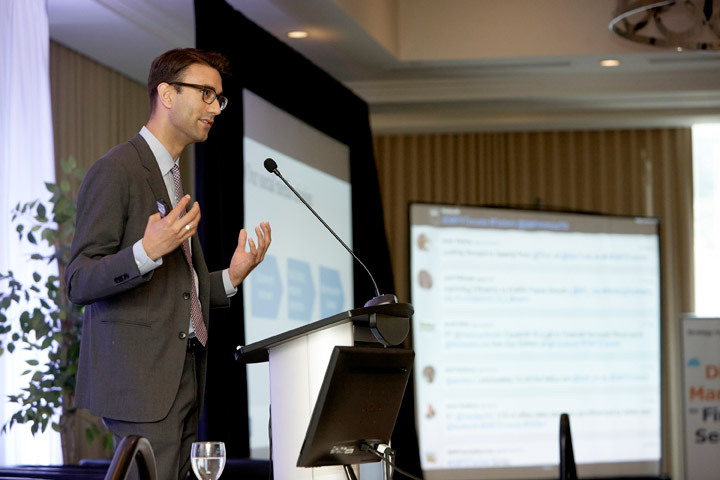 One of the country’s most sought after commentators, he is consistently ranked as one of the top economists in a survey of Canadian institutional equity investors. Avery follows economic developments and their implications for financial and asset markets. He has received multiple awards for forecast accuracy in Canada, and is a seven time winner of the Dow Jones Market Watch award for most accurate forecaster of the US economy. His prior background includes experience in management consulting, on the economics faculty at the University of Toronto, and lecturing in the summer program at Harvard's John F. Kennedy School of Government. He has addressed numerous business groups and been quoted in the media in the United States, Canada, Asia and Europe. 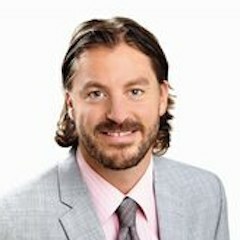 David O’Leary is Director of Impact Investing at World Vision Canada. He and his team lead the organization’s social finance efforts. Their goal is to mobilize public and private sector capital to impact the lives of the world’s most vulnerable children. David is also founder of Kind Wealth; a social purpose business that empowers Canadians to take control of their money and manage it in a way that matches their values. Previously David was co-founder of a financial advisory practice called Eden Valley Partners. Prior to that David spent 13 years as Director of Manager Research with Morningstar; a global investment data & research provider. In his role David and his team were responsible for evaluating some of the world’s largest money managers and advising clients in their asset allocation and investment manager selection process. David has lived, worked, and volunteered throughout Africa. 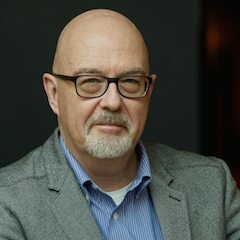 He is a frequent speaker at conferences appears regularly in print and television media; including (CBC, Business News Network, CNBC Africa, Globe & Mail, Toronto Start, National Post, etc.). 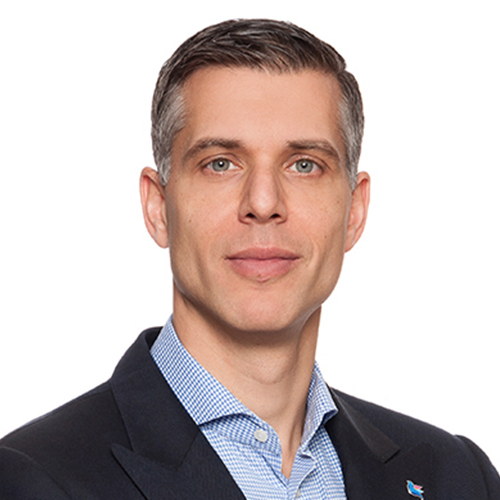 David holds a BA in English Literature from the University of Toronto, an MBA from the Rotman School of Business, and holds the Chartered Financial Analyst (CFA) designation. Julia Langer is CEO of The Atmospheric Fund (TAF), a non-profit corporation that invests in urban solutions in the Greater Toronto and Hamilton Area (GTHA) to reduce carbon emissions and air pollution. Julia has held senior leadership positions in the environmental sector for nearly 30 years, managing campaigns and organizations, defining strategy and policy, and inspiring public and private action to address air pollution and climate change. 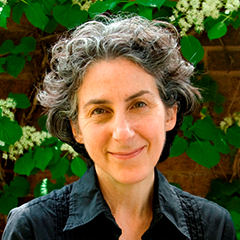 Julia leads TAF’s staff in advancing the organization’s solutions to climate and air pollution, and with support from TAF’s Investment Committee, oversees the fiscal integrity of TAF’s endowment. Julia is a recipient of the 2016 Minister’s Award for Environmental Excellence for her environment and climate work and a member of the federal government’s Generation Energy Council. She is a year-round cyclist, avid gardener and wilderness canoeist. In her role as Executive Vice-President, Finance & Operations, Annette Aquin oversees Hamilton Community Foundation’s finance, investment and administrative activities and is responsible for all statutory and regulatory compliance. Under Annette’s leadership, the Foundation has become known as a leader in social finance. 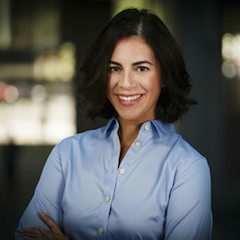 She has been a driving force behind HCF’s efforts to align all of its assets with its mission and vision through developing an environmental, social and governance strategy for public market portfolios, and leading the board’s strategic goal to allocate 20 percent of its assets to direct impact investing by 2020. The direct impact investments include local, national and global investments designed to provide positive social or environmental outcome along with a risk-adjusted investment return. Annette is a chartered professional accountant who has worked in the private, public and non-profit sectors, as well as in public accounting. Mr. Lavallée is professor of finance at Université de Sherbrooke. He works part time as director of research at AlphaFixe Capital a fixed income management firm based in Montreal. He earned a Ph. D. from the Stern School of Business at New York University and a Master Degree from Université de Sherbrooke. He also earned the CFA designation. During is career he was a senior vice-president at Aon Hewitt and a professor at both HEC Montréal and Université du Québec à Montréal. Mr. Lavallée works with many pension plans investment committee. He participated in many professional and educational conferences in Canada and abroad. For four years, he was vice president of depositors management at Caisse de dépôt et placement du Québec. He also had his own consulting and portfolio management firm (Finlab) for seven years. 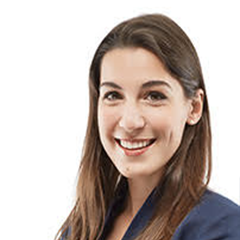 Elena Haba started her career as a lawyer and was practicing in a national Canadian corporate law firm prior to moving to West Africa, where she shifted gears and chose to channel her corporate experience into providing business advisory services to SMEs. Elena is passionate about enabling individuals that are improving the lives of vulnerable or underrepresented populations. She is currently the Director of Investments at EWB Canada, where her aim is to support social entrepreneurs in building more sustainable and inclusive economic systems. EWB Canada, invests in people and ideas to tackle the most crucial causes of poverty and inequality. Its impact investment portfolio supports emerging innovations servicing underserved populations in sub-Saharan Africa that have the potential to solve systemic solutions perpetuating poverty and inequality. EWB Canada supports these pioneering early-stage, highly-scalable, and innovative social enterprises by recruiting and placing strategic talent within these ventures, by providing them with advisory services and by investing up to $100,000 in capital in them. Who would have thought that operating carnival games and rides would lead to a career in social good? Nobody, really. Well – over 30 years later, Bruce is still at it. 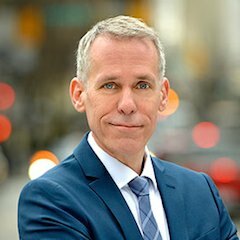 From having served as CEO of Big Brothers Big Sisters of Canada for ten years and prior to that as the organization’s Vice-President of Marketing, Bruce has led major change initiatives and developed long and innovative partnerships with corporations and other charities. A wide and varied career, working with different parts of the sector has lead him to Imagine Canada – working with young people, older adults, sports and recreation and community service clubs. Bruce holds a Bachelor of Commerce in Sports Administration, a Masters in Management in the Voluntary Sector and a Guinness Book of World Records. 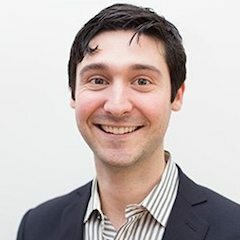 Jory Cohen is the director of social finance and investment at the Inspirit Foundation where he played an integral role in launching Inspirit’s 100% impact portfolio. He continues to lead the roll-out of that strategy while managing all aspects of the finance department. Before joining Inspirit, Jory was the Managing Director of Youth Social Innovation Capital Fund (YSI), an impact investing fund. He also co-founded an impact venture in East Africa based on the fair-market-value sales of honey. 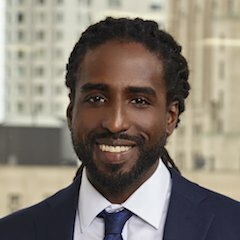 Since graduating from the Richard Ivey School of Business at Western University as the Valedictorian of his class, Jory quickly garnered a reputation as a next-generation leader in the impact investing field. 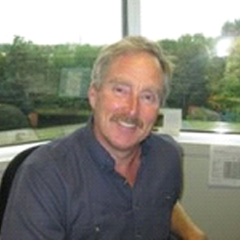 Jory is often called upon to share his expertise within the sector and academic institutions. He’s also co-authored a children’s book. Nick Bakish is a multi-award-winning investment professional with a 16-year track record of providing attentive client service tailored to each client's unique financial needs. After earning an Honours B.Comm in Economics and Finance from McGill University with first-class honours, Nick joined Investors Group in 2002, where he was consistently one of the firm’s top consultants and received numerous awards of distinction. Nick obtained experience in management as Division Director for four years, charged with recruiting and training new consultants; this helped him to see the role of an advisor from a broader perspective. Nick moved with his brother and partner, Joseph Bakish, to Richardson GMP in 2015 to provide Bakish Wealth Management clients with a wider universe of investment options, better technology and more transparency and clarity regarding cost and performance. Nick has always set himself apart with a tireless devotion to continuing education. He earned the Chartered Financial Analyst (CFA) designation, recognized as the gold standard for the global investment industry, along with the Trust and Estate Practitioner (TEP), Chartered Life Underwriter (CLU) and Financial Planner (Pl. Fin.) designations. Nick is also a Fellow of the Canadian Securities Institute (FCSI). With these qualifications, Nick delivers astute asset allocation, investment management, estate planning, insurance planning, and financial planning. Nick is prominent in the business community as a member of the Board of Trade of Metropolitan Montréal, the Financial and Estate Planning Council of Montréal and the Society of Trust and Estate Practitioners. He is a Million Dollar Roundtable participant and has taken part in the prestigious Court of the Table. During university, Nick competed in Varsity Swimming and was an Academic All-Canadian every year; he also enjoys playing tennis. He is President of the Sierra Club Foundation, which works to build a healthy planet. In his personal time, Nick reads voraciously on the economy and stays at the forefront of commercial real estate private placements, which he is introducing as a whole new asset class for our clients. 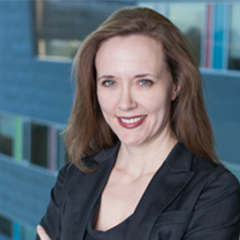 Kathryn Wortsman leads the MaRS Catalyst Fund as Fund Manager. Kathryn joined the team at MaRS Centre for Impact Investing in 2015 and launched the Fund in early 2016. The MaRS Catalyst Fund is focused on investing in highly scalable and profitable impact businesses across the clean technology, health and education sectors. The Fund is 100% Canadian with global impact reach. Kathryn started her career in investment banking at RBC Dominion Securities and then went on to spent most of her 20 year career investing and managing venture capital and private equity in small to medium sized businesses both in New York and Toronto. Kathryn spent time in Toronto at CIBC Capital Partners, BMO Capital Corporation and Lynx Equity, a Toronto based succession fund. In New York, Kathryn actively invested and managed a portfolio of early stage media technology companies with Constellation Ventures, a Bear Stearns sponsored venture capital fund. Kathryn also actively invested and managed strategic insurance technology investments for MetLife and then subsequently joined the MetLife corporate development team to create new products and services for the largest life insurer in the US. Her passion in social finance was born 10 years ago when she joined Social Venture Partners NYC and then subsequently founded Social Venture Partners Toronto. Prior to MaRS, from 2012 - 2015, Kathryn co-founded Crest Capital Corporation, a search fund in Toronto. After 2 years of co-managing a small business in the construction services market, Kathryn wanted to further expand her ability to catalyze capital for social and environmental good and merge the worlds of private equity and social impact. Kathryn was born and raised in Toronto, Canada and has an undergraduate degree from the University of Western Ontario and an MBA from Columbia University in New York. 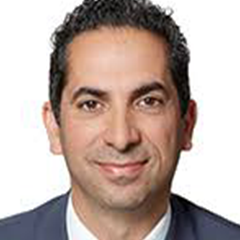 Charles Nadim, CFA, joined Jarislowky Fraser in 2008 and is Co-Head of Equities and Portfolio Manager, Canadian Equities. He is also a member of the Investment Strategy Committee and the firm’s Management Committee. He has 20 years of industry experience and has been a Canadian Equity Manager since 2012, as well as an international and North American Research Analyst at the firm. Previously, he was portfolio manager and equity analyst with GE Asset Management Canada. He also spent three years at Watson Wyatt Investment Consulting. Charles has a BBA from École des Hautes Études Commerciales (Montreal) and a M.Sc. from the University of Sherbrooke. Peter heads our Strategic Exchange initiative at Connor, Clark & Lunn. 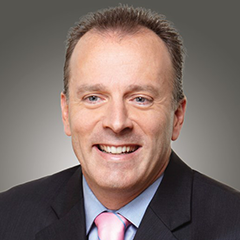 He has over 20 years of investment experience in Canada, the US and the United Kingdom spending his earlier years in consulting, which included leading two of the major Canadian firms and then moving to the investment management business in 2008 when he established a new investment operation for a Canadian insurance company. He joined Connor, Clark and Lunn Financial Group, as Senior Vice President, Institutional Strategy in 2011. 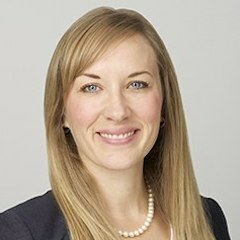 Jocelyn Mackie is Co-CEO of Grand Challenges Canada (GCC), giving leadership and oversight to all aspects of the organization’s innovation platform. She was previously GCC’s VP Operations & General Counsel leading the organization’s operations, funder relations, deal structuring and negotiations (on grant and non-grant financing deals), and providing risk mitigation and financial management, as well as legal oversight. She has a JD from the Faculty of Law University of Toronto, an MSc from the University of Toronto, and a business degree from Western’s Richard Ivey School of Business. She started her studies in international development, helped create a social enterprise for women in Honduras, and has worked at a multinational pharmaceutical company and in private practice at a boutique law firm. She is called to the Ontario and New York State Bar. 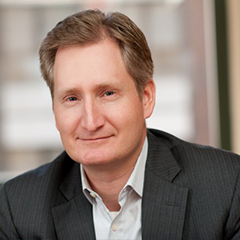 Matt has over 20 years of distribution leadership experience at category leading investment management organizations. He joined the World Gold Council in April 2017 with responsibility for distribution strategy, client development + management as well as overseeing U.S. marketing & communications. 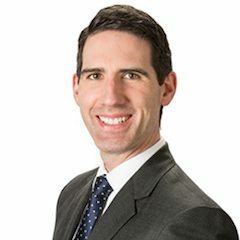 Prior to that, Matt was Head of ETF Relationship Management for Deutsche Asset Management, where he led cross-channel ETF distribution and strategy. 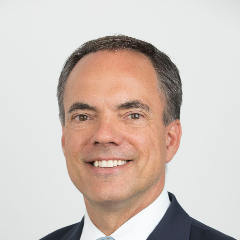 Starting in 2002, he served as a member of the U.S. Distribution Leadership team at iShares, formally at Barclays Global Investors and then at Blackrock. Matt is based in New York and holds the series 7, 63 and 24 designations. 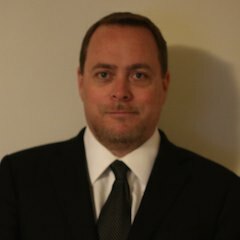 Adam Hornung is an Associate Director, Investment Strategy for Russell Investments Canada Limited (RICL) institutional business. Adam is a client portfolio manager to RICL’s fiduciary solutions clients and provides consulting advice on all aspects of investment programs including governance, strategy, investment policy, asset class structure and implementation. Adam is also the lead at RICL for the responsible investing practice and is a member of the Russell Sustainability Council. 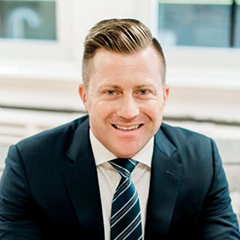 With over a decade of experience, Adam is responsible for supporting clients on all aspects of their investment programs including governance, strategy, investment policy, asset class structure, manager selection, and investment implementation. Adam has received an MBA from the Schulich School of Business at York University with concentrations in strategy and investment management. 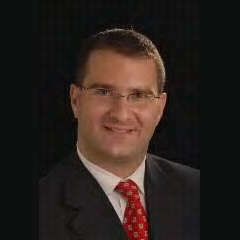 Darren Spencer is a client portfolio manager, alternative investments for Russell Investments. Darren is responsible for working with Russell Investments’ asset management clients in North America to develop and implement alternative investment solutions. 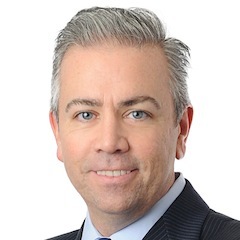 Darren joined Russell Investments in January 2011, and until January 2014, was responsible for directing the development and implementation of alternative investment strategies for Russell Investments’ consulting clients in North America. Darren has extensive global experience in alternative investment manager research as well as the implementation of alternative investments into client portfolios across a broad range of strategies, including: hedge funds, private equity, infrastructure and real estate. Erik Mathiesen is the Chief Financial Officer for the national arm of The United Church of Canada. In this capacity, Erik supports the work of almost 3,000 congregations across Canada and works with many volunteers to maintain a large pension plan, national operating and grant budgets and significant investment holdings. Erik has been active in the non-profit sector for over 30 years, particularly in the area of affordable housing. Current volunteer roles include serving as Chair of the Board of the Atkinson Charitable Foundation, Trustee Treasurer for Rosedale United Church and serving on the Finance Committees for Woodgreen Community Services, and the Toronto Christian Resource Centre. Sandra Carlisle has been head of responsible investment specialists in London since 2017. Sandra joined HSBC in 2017 and has been working in the industry since 1986. 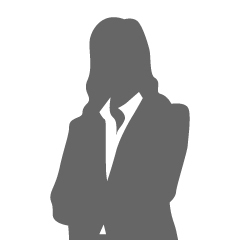 Previously, Sandra was head of responsible investment at Newton Investment Management in London. Before this, she spent several years at F&C Investments and Citi, where she set up and ran the sustainable and responsible investment team in global markets and the European equity sales team respectively. Prior to Citi, Sandra worked for Deutsche Bank in Paris and London as equity specialist and for JPMorgan Chase in London and New York as part of the sovereign debt restructuring team. 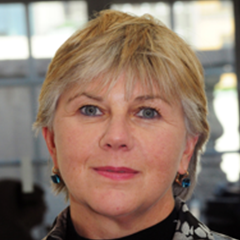 Sandra is a recognised industry spokeswoman and a board member of the Principles for Responsible Investment (since 2016) and a visiting business fellow at the Oxford Smith School for the Environment. 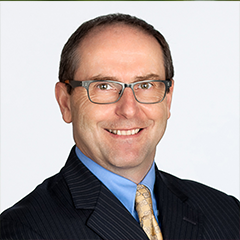 "Patrick Murray, CIM®, FCSI® is global multi-asset client portfolio specialist at Manulife Asset Management. Patrick supports investment capabilities within Manulife’s Multi-Asset Solutions team (MAST), including the globally-based Asset Allocation Team, Quantitative Management Team which focus on liability-driven investing and other various liquid alternative investments. Patrick’s responsibilities include all aspects of product management, assisting client facing teams in the effective communication and positioning of MAM’s asset allocation capabilities with clients, prospects and consultants. He joined Manulife Asset Management Accord (2015) Inc. when Standard Life's Canadian operations were acquired by Manulife in January 2015. Patrick joined Standard Life Investments in 2010 as an Investment Specialist. Prior to this in 2009 he was working Girard Investor Services Inc. as President and Chief Compliance Officer. He spent six years on the investment side as an analyst and portfolio manager covering North American equities. Patrick is a fellow of the Canadian Securities Institute and has completed Level II of the Chartered Financial Analyst exam. He has also completed many options and futures courses enabling him to trade in derivatives, in addition to the Partners Directors & Senior officers course, a requirement for board memberships." Sasha is a partner at Greybrook and CEO of Greybrook Securities, where he directs Greybrook’s capital markets activities across the firm’s focus areas. He is an experienced finance professional with over a decade of transaction experience and is a recognized buy-side transactions expert. Sasha is a member of the board of directors of Greybrook Capital and several of its related entities including Greybrook Realty Partners, Greybrook Securities, Greybrook Health and TMS NeuroHealth. As the co-chair of Greybrook Realty Partners’ Investment Committee, he is responsible for providing oversight and approval of the company’s investments and portfolio acquisitions. Greybrook’s real estate investment portfolio includes over 50 developments in the Greater Golden Horseshoe region and South Florida markets. In aggregate, these assets represent 32 million square feet of residential and commercial density with an estimated completion value of $14 billion. 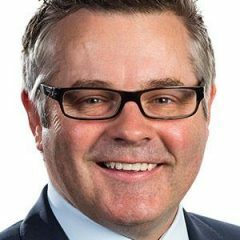 Doyle is the CMO of LINKCHAIN a new startup that secures buyer and supplier transactions. A seasoned veteran of the Marketing, Branding, and Advertising industries, Doyle founded his first Digital Agency in 1995 and served as CEO until 2015. He then continued his career as an independent Marketing Communications Consultant. Since that time he has aided many different types of firms, from startup to Fortune 500, in a wide array of Marketing & Brand projects ranging from Strategy to Implementation. Throughout the past few years Doyle has been especially involved in every step of startups from team acquisition, to defining the business model and (in the case of ICOs and STOs) tokenomics, Jurisdictional issues, legal and banking, website and whitepaper development, and all marketing efforts including community building and developing social channels like Twitter, FaceBook, Telegram, Instagram, Youtube, etc. In addition, Doyle sources and secures VC deals. Take advantage of this elite summit and demonstrate your leadership role in your industry. Raise you personal and corporate profile through the invaluable exposure and gain recognition as an expert in your field.